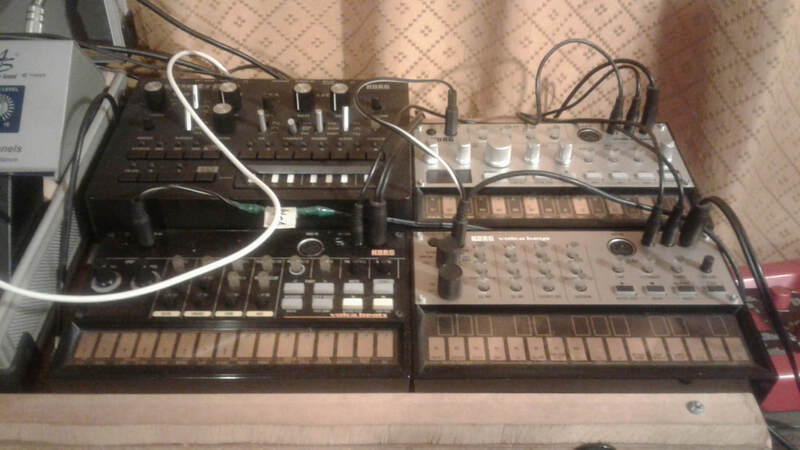 ​I must confess that I am a true fan of the Korg Volca synthesizers. It all started when in 2012 I bought the fantastic Korg Monotribe; already had a Korg Monotron, it was fantastic to discover how these small machines summarized in a very small space, the analog sound of a whole decade of electronic music, the 80s. Korg Volca Bass, is a great old-school analog bass synth. Korg Volca Beats, is a drum machine with a clear analog sound. Kick, Snare, Tom and Hi Hat, are pure analogs, while the rest are samples. All modifiable live. So far my personal experience. They are all connectable by sync and midi sound great, can be used with AA batteries, have 8 memories for sequences and most importantly, are easy to transport. 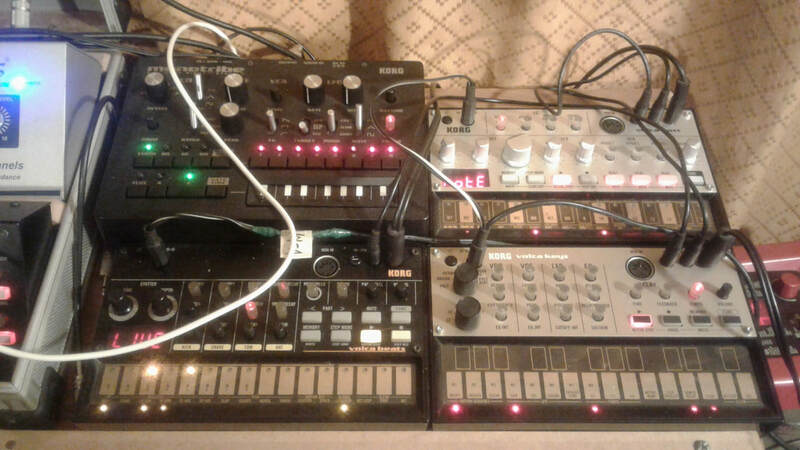 A final release is a Volca mix of 3 channels and sending effects, synchrony and power supply. 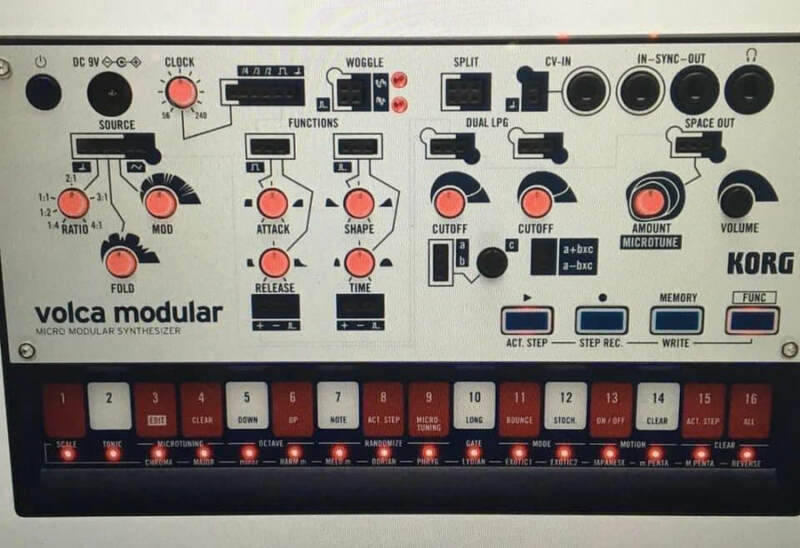 But without a doubt what has me in the expectation is the recent appearance of some Korg Volca Modular photographs, a kind of modular synthesizer in miniature with connections in small plugs and everything necessary for a pure synthetic sound. ​As it was worth waiting in 2012, I hope now for the models that will complete my collection. If you plan to buy the Korg Volca series, you will not regret it. I'm also not promoting the Korg brand; I can only tell you that they are so easy to transport and work so well that fun moments are assured. The matter is simple: a modular synthesizer with all of the necessities can cost us a lot of money; and in my particular case, the import of components to my country (Chile) is very expensive, which has led me to stop the construction of some more complex modules. 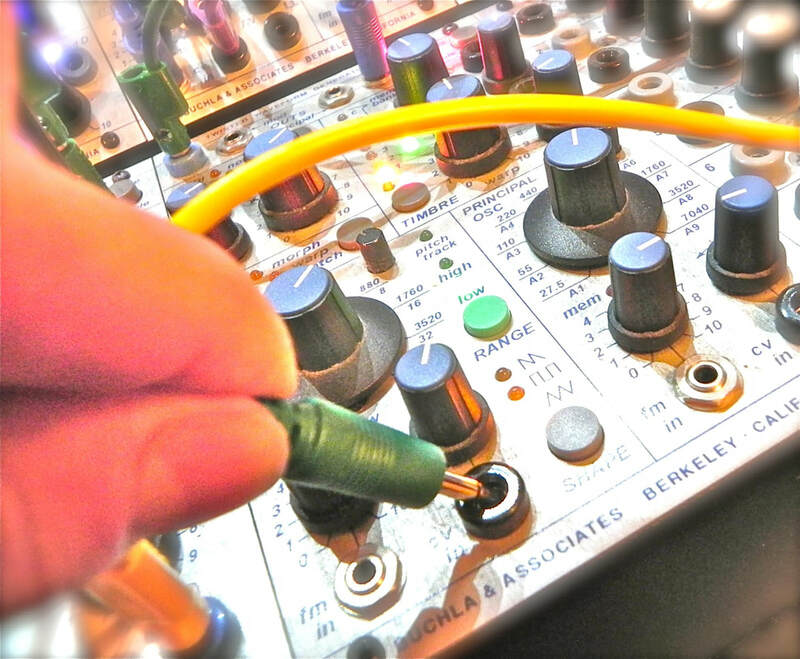 Luckily there is the virtual alternative, which is not the same as twisting a real knob but allows us infinite exploration in the world of modular sound. 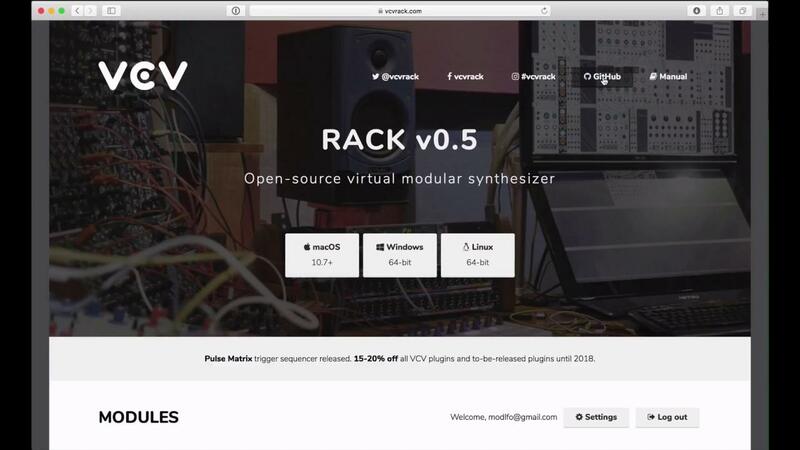 The VCV Rack software is free (open source) and includes many modules to download. Others can be purchased from its creators (the price is very low) and there are also donations to support a vast library of constantly growing modules. Best of all, it is available for Mac, Windows and Linux, only in 64-bit architecture. I'm using it on a 64-bit HP laptop, 2.8 GHz processor and 6 gigabytes of RAM running Linux Ubuntu 18.04 and it works wonders. 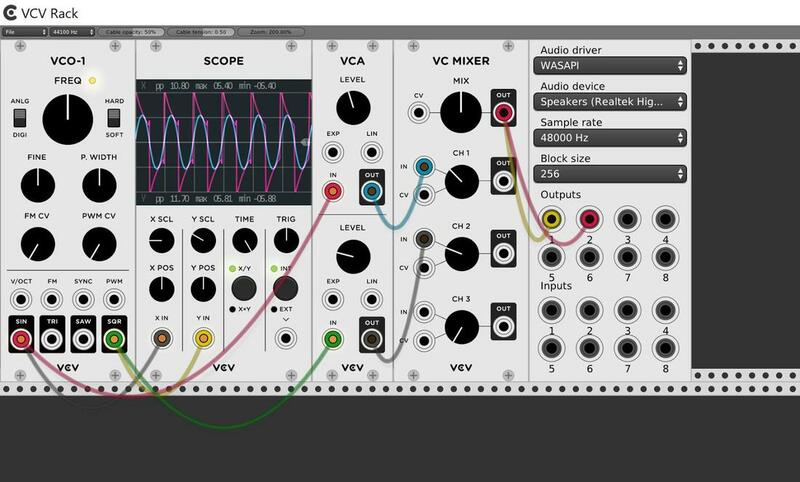 There is also a web page with tutorials and patches that you can download to begin to understand the workflow of VCV Rack, which is not as complicated as it seems. 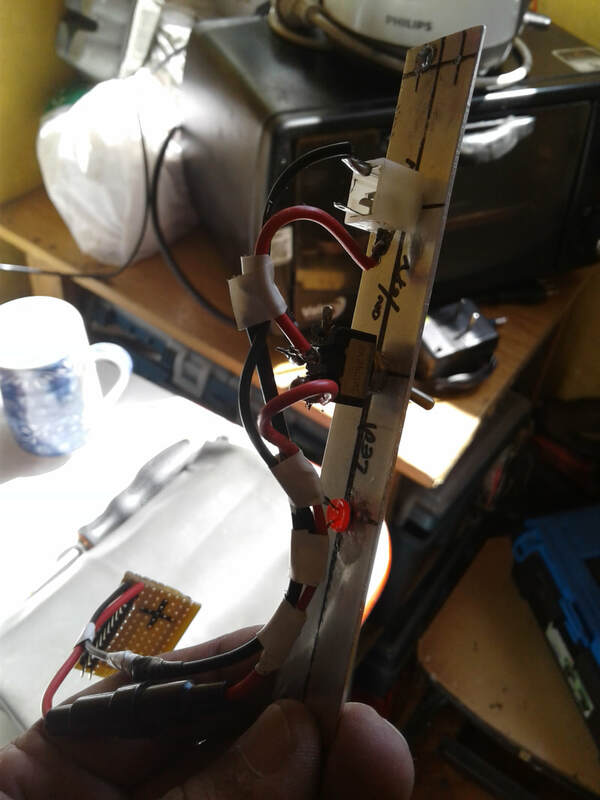 Plus if we make any errors we will not pay with the destruction of an electronic component; it will simply indicate to us that there it is not possible to connect one module with another. I think it is a good alternative to know in depth the modular synthesis and to be encouraged in the future to acquire a physical device. The seductive sounds of the new (and also old) range of modular synthesizers are probably too intimidating and sonically complex for the "normal" musician (the one that uses presets rather than sound construction). When I say that the modular synthesis never left, it's because since its creation and development (1940 to 1960) it has remained active in personal laboratories, in classrooms and in the experiments of composers, insatiable seekers of new sounds, rhythm and noises. For most people, a synthesizer is a keyboard with a panel populated by LEDs, buttons and knobs. A look of disbelief arises when they are shown a modular. What is this? Why so many cables connected? Is it an old telephone switchboard? It's not a synthesizer! The irony is that the modular ones were the first synthesizers, the only commercial synthesizers until the arrival of portable models already wired internally, such as the Minimoog. Most commercial synthesizers today are digital: their internal computers emulate the various forms of analog synthesis. The same happens with a laptop loaded with VST plugins running some DAW software and provided with a quality sound card. Then we have the analog non-modular synthesizers, Moog, Alesis Andromeda, the most recent Prophet 12, Roland, Korg, among others. And in the most esoteric and niche area we have the modular, where unlike a non-modular, you can decide the configuration of your monster according to your own tastes: filters, oscillators, mixers, ring modulators, sequencers, effects, very rare sources of effects, random, sampler, etc. This flexibility is very different from non-modular systems and the possibilities become endless. A modular synthesizer can be what you want it to be - if money and space allow it - do you want three oscillators? Six? 15? Two filters? One Multimode filter? Two Lowpass and three Highpass? How about a vocoder or a theremin? Maybe you want a specific filter from a Russian synthesizer of the 60s? Most likely, someone somewhere in the world will have built a module that will satisfy your desires. In other words, the module-to-module configuration never ends. You will always have the possibility of adding a new filter, a different oscillator or very particular modules that simply do not exist in the world of non-modular analogues. 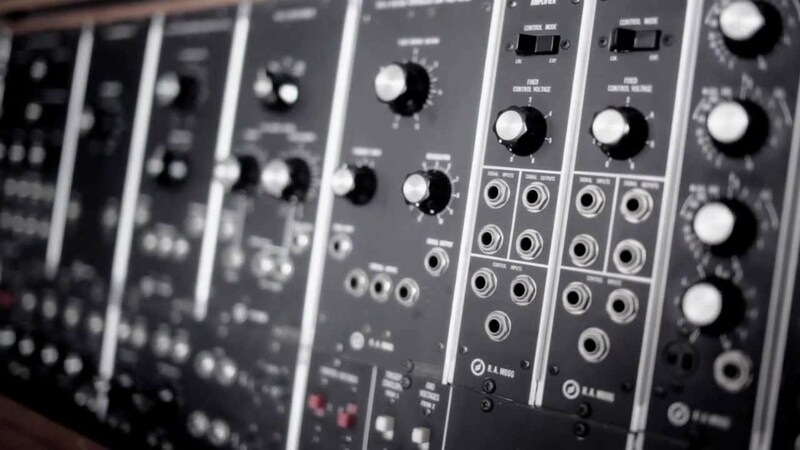 Modular synthesizers are instruments that are not fixed, their owners are continuously adding modules that even allow them to change the scope and focus of their system according to their tastes and current objectives. 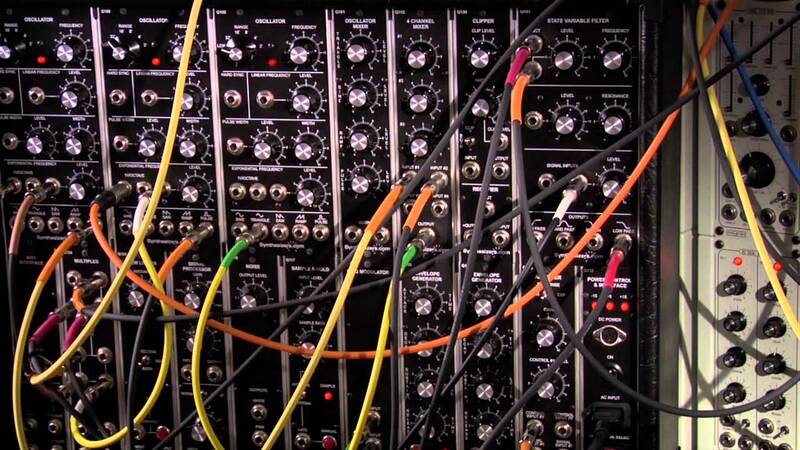 It may sound like hyperbole of traditional advertising, but the world of modular synthesis is actually only limited by your imagination. At the beginning, all my modules would be powered by 2 batteries of 1.5 volts. Then I thought it would be uncomfortable to disarm every time I needed to change batteries. Then I began to plan an exclusive module to deliver energy to the rest. 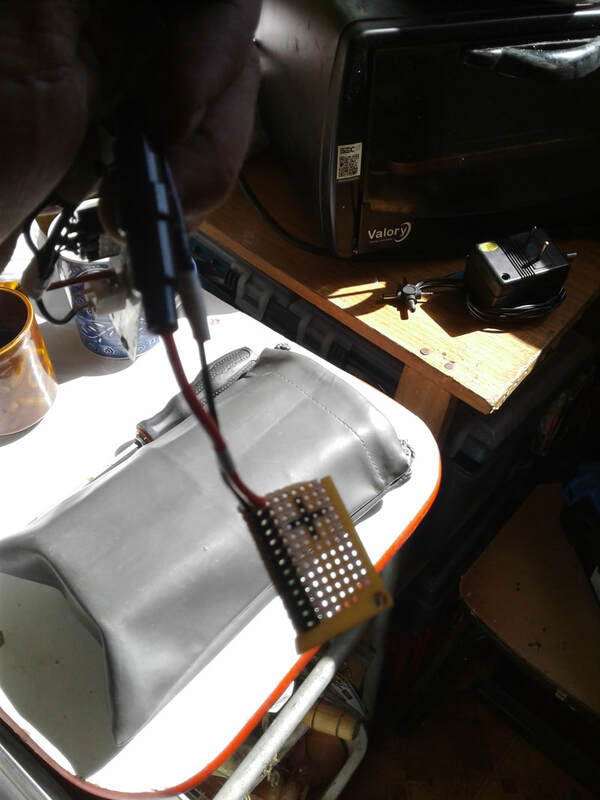 My research on the internet resulted in a simple source of regulated power that receives power from an adapter of 110/220 volts to 9, 6 or 3 volts (those that we use for cell phones, cameras, effects pedals or others). The most important thing to keep in mind is the amount of milliamps, since the number of modules that can be connected depends on this. I bought an adapter with several options of regulation of voltage (one of them 5v standard USB) and 2500 milliamperes which could feed a considerable amount of modules if we take into account that the CMOS 4000 series chips do not exceed 30 milliamps approximately, working with 5 volt​. It is necessary to install a 1N4007 diode between negative and positive cables (respecting the polarity of the diode) to ensure that we will always have 5volts of input. If you wish you can incorporate an LED with a resistance of 1k Ohms (also 100 Ohms works) so as not to burn it. 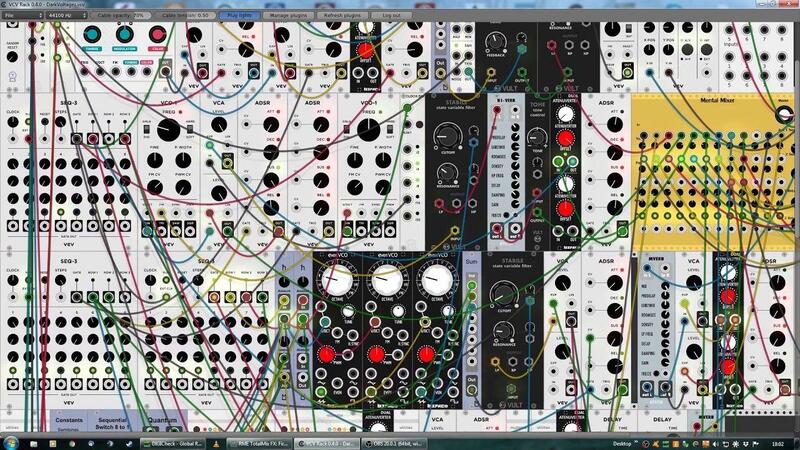 Is it possible to have a Eurorack Modular Synth without spending a fortune? Maybe the device I am building does not have the thousands of features of the complicated and expensive software programmed Microchips used in the most expensive modules, but the fun is guaranteed. Analog old school are my rules. 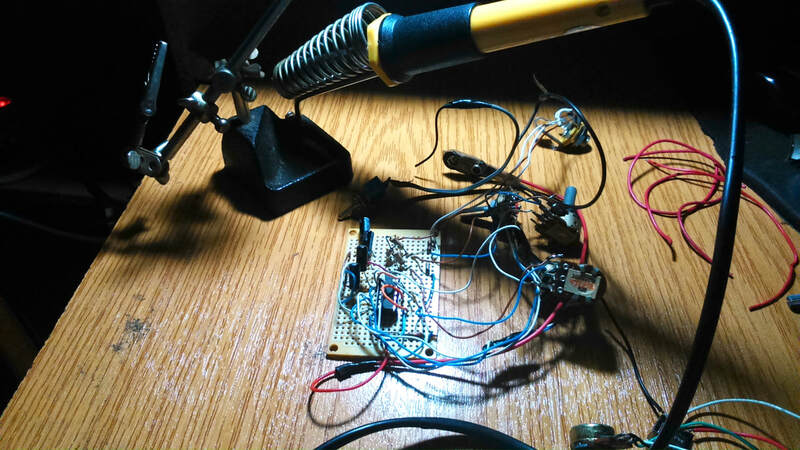 The components that I am using are classic and cheap, resistors, capacitors, diodes, transistors and microchips of the CMOS 4000 series that can operate from 3 volts, which allows me to use two batteries of 1.5 volts to power them. 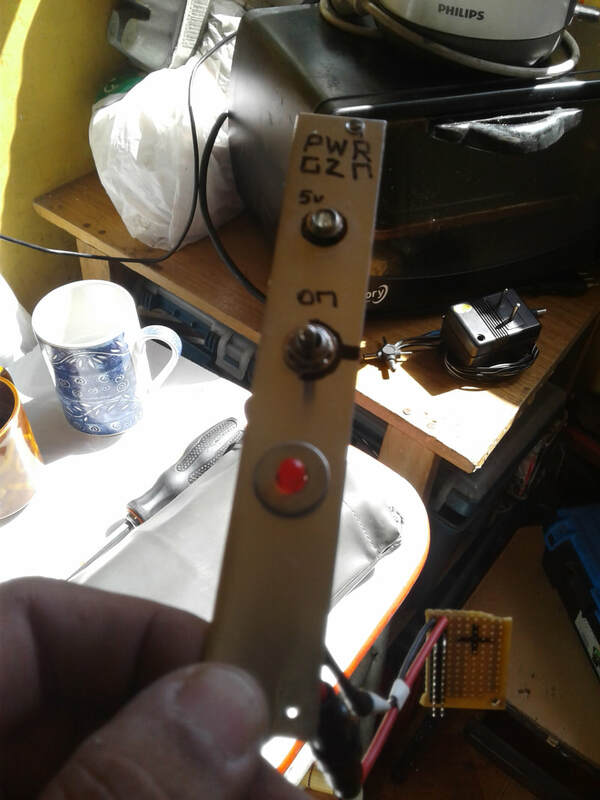 Potentiometers of all values, a lot of cable and a protoboard are the basis of the tests (and errors). Experimenting is the key, it is difficult for something to explode with 3 volts. The Internet has a lot of information to guide. If you have some skill, you will quickly learn to weld. Building the circuit with free software is not complicated, you must have patience. I will share with you my advances, discoveries and mistakes. 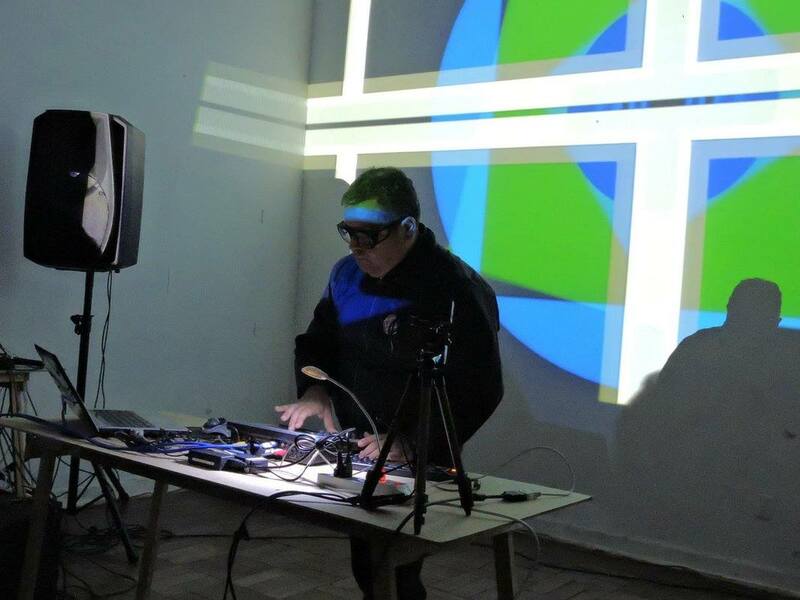 Audio visual artist since 1984. In 1983 - 84 composed “Radio” on cassette format, based on the sounds of the shortwave radio stations with a purely experimental and strange sound for the time. ​During the 80’s produced many experimental and other discs marked by the sound of the Electric Body Music (EBM). In the 90’s he formed “Alvania” with some friends. Influenced by the Electro-industrial, making numerous live appearances and two albums: “Estado de Coma” and “Alvania en Vivo”.